Phone Guard device replacement is available. It’s easy to refill your minutes! Visit your local Nex-Tech Wireless store, call *611 from wireless phone or set up automatic monthly payments. *Automatic payments required for published rate, otherwise price is increased by $5. **Speeds will be capped at 3mbps inside and 2mbps outside the local Nex-Tech Wireless service area. Certain restrictions apply. Cash or credit card are the only accepted methods of payment for Advance Pay plans. Nex-Tech Wireless is eligible to receive support from the Federal Universal Service Fund in designated areas. 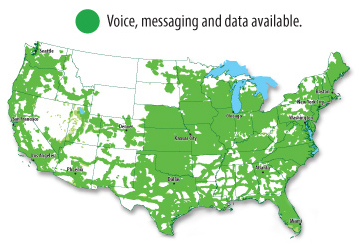 As a result, Nex-Tech Wireless must meet reasonable requests for service in these areas. Questions or complaints concerning service issues may be directed to the Kansas Corporation Commission Office of Public Affairs and Consumer Protection by calling 1-800-662-0027. ***Certain restrictions apply. Cash or credit card are the only accepted methods of payment for Advance Pay plans.